Pokémon Go has been wildly popular since its release this month. 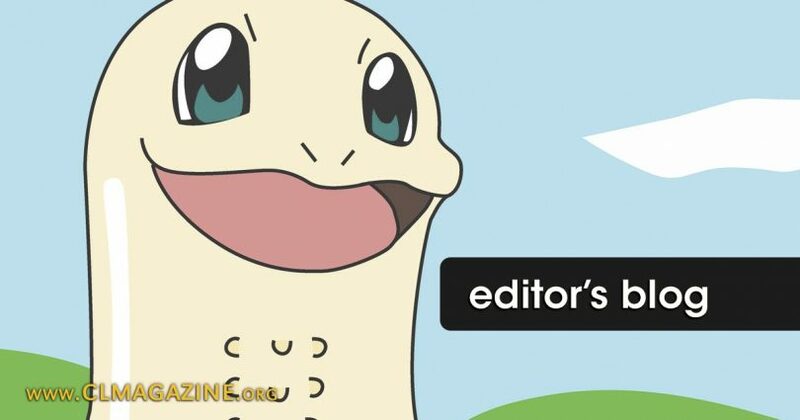 Plenty of companies have been piggybacking off Pokémon Go in attempt to get their brand in front of the game’s huge audience. 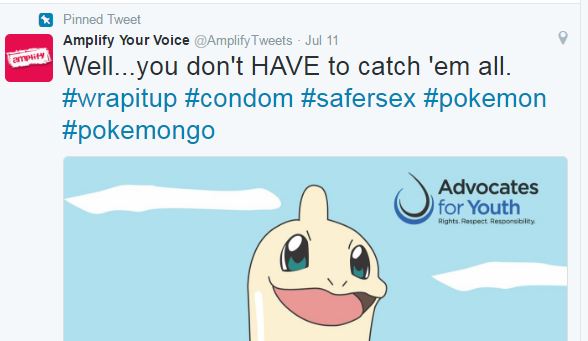 PP loving media outlets were quick to cover this groundbreaking story with headlines such as “Planned Parenthood Has Jumped On the Pokémon Go Bandwagon” (Jezebel, 13 July) and “Planned Parenthood unleashes Pokémon Go style ad” (Red Alert Politics, 14 July). The problem with these titles is that they are factually incorrect, since PP only shared a meme that Advocates for Youth created. Their addition, “condoms help prevent pregnancy and STDs,” shows how the organization suggests there is a similarity between pregnancy and diseases, but it does not add anything substantial to Advocates for Youth’s original post and certainly does not deserve special credit. Some outlets have modified their headlines as a result, but others, such as Jezebel, have not. Still others posting this week have continued with factually incorrect and misleading headlines. So what is the big deal? Well, aside from this disgusting attempt to indoctrinate children with a cartoon, the big deal is that these alleged sources of information are so quick to pump out their agenda 24/7 that they often overlook the most basic editorial processes…like, um, fact checking. See the picture? Having Planned Parenthood in the title and article means doing better in Google searches, drawing more traffic, and associating yourself with a huge organization that shares your agenda. Overlooking simple fact checking procedures before publishing boils down to either (1) incompetence or (2) varying degrees of deception. Either of these is enough to disregard such outlets as credible sources. Should we expect anything less from people who think it’s a brilliant idea to use cartoons to teach children that the only transgression with licentiousness is not using a condom?